Ryan has been mountain biking and enjoying nature since he was a young boy. 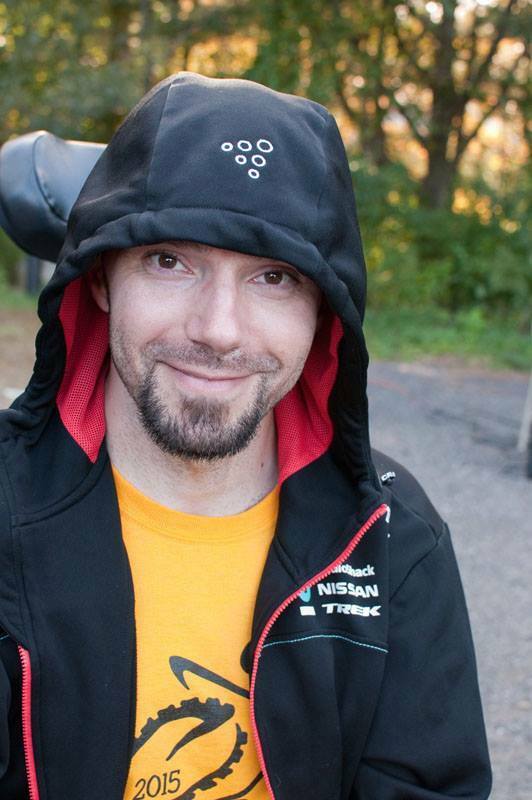 In March of 2011 he suffered a spinal cord injury while riding his bike. Since then he has reach many goals and milestones, many of them reached at Empower SCI 2012-'13 including getting back on a bike and back on the trails. Kelly took up mountain biking back in 2012 and has been loving the trails ever since. Dedicated to working with individuals with spinal cord injuries throughout the year as an amazing occupational therapist, she loves helping people return to what fuels their passion. Kelly was one of the founding members of the Knobby Tire Ride and Roll and has been a driving force and avid volunteer for Empower Spinal Cord Injury since the beginning! Carrie Callahan loves the outdoors and is passionate about giving people the opportunity to find their own way to access nature and all of its therapeutic value. A physical therapist specializing in working with individuals with spinal cord injuries and an avid mountain-biker, she has been a part of Knobby Tire from the start, and is current President of Empower Spinal Cord Injury. During her career, Carrie has specialized in fitting, fixing, and "spec"-ing out wheelchairs, and loves to put this knowledge to use with other adaptive sports equipment, including cycles. Amy Fleischer got hooked on mountain biking in the hills of North Carolina when she was 12. Since then, she’s found many ways to have fun in the woods and on the water. She also enjoys adapting devices to better serve people in what they need and want to do - a hobby that came in handy during her time as a volunteer at Empower’s summer program. In helping to organize the Knobby, she is happy to combine her passion for the outdoors, background in nonprofits, and training as an occupational therapist in order to help more people get outside and play. Zoe Norcross was one of the founding members of the Knobby Tire Ride and Roll. Although she is overseas on her own adventures in Ghana, she is still supportive of the Knobby Tire Mission and all of the beauty that Adaptive Sports can bring to people's lives.